Canon has patented a new design. It is a 18-105mm f/4-5.6 lens with a built-in teleconverter. However, when engaged, it makes the lens wider. 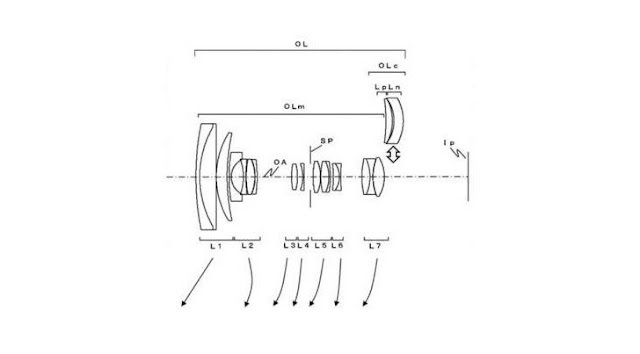 At 18mm, the lens is f/4, but when the converter is engaged, it becomes a 15mm lens with an aperture of f/3.3. This is an interesting lens concept but Canon has been experimenting with many new camera and lens designs in their laboratories for decades including one design with two built-in extenders. They have been awarded more patents than any other Japanese companies.